Taking a Bite out of Atlanta - Eat See RV! This was not our first visit to Atlanta and will not be our last. We love the old homes, winding roads and hills, unique shops, vibrant culture, and most of all the food and beer! We have to close friends that live in Atlanta that we’ve stayed with before so stopping in for a day was a must. Our friend Laine suggested to us that we make a pit stop at the Ponce City Market before meeting up with them at her work, Sweet Water Brewery. 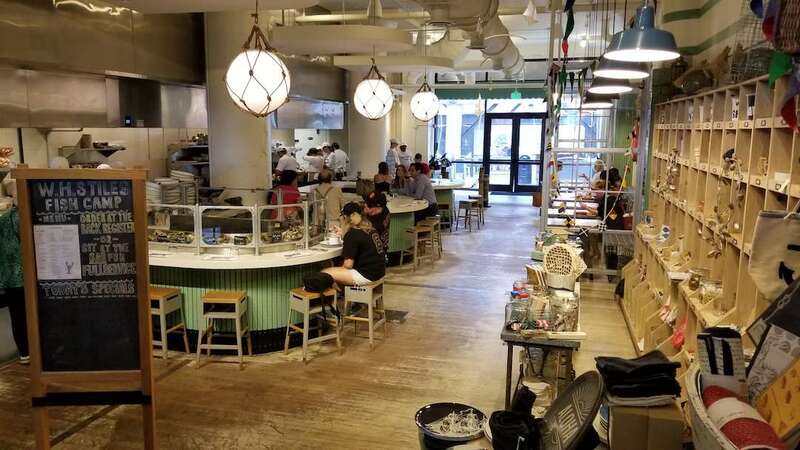 The last time we visited they were still renovating and restoring Ponce City Market, so we were happy to jump on the opportunity to see this revived space. 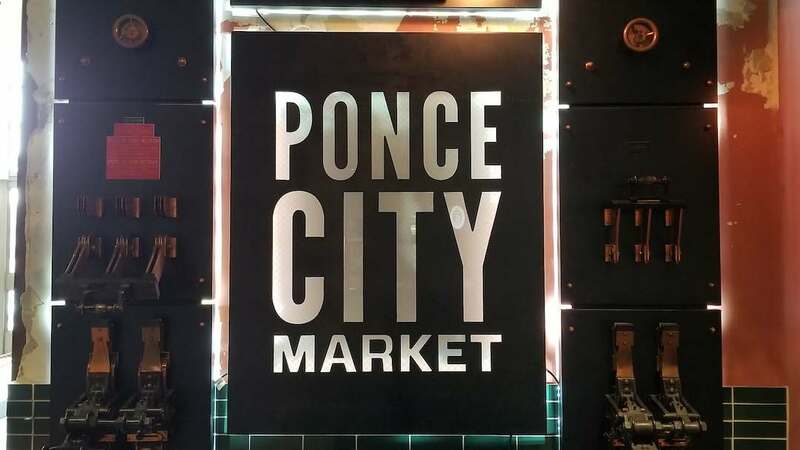 Ponce City Market is a food hall, event space, apartment complex, and shopping center in a restored Sears, Roebuck & Co. building from the turn of the century. 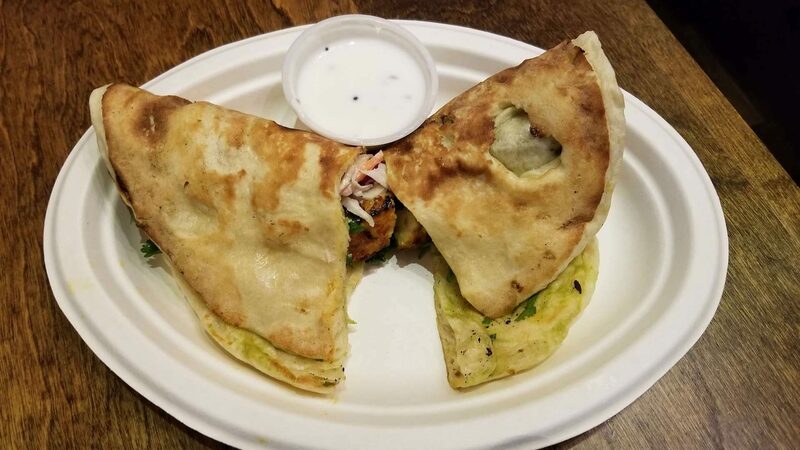 We researched a few of the vendors in order to narrow down the stalls we ate at, but honestly didn’t have the stomach space or time to enjoy and visit all of the spots we wanted to try! We will definitely have to go back for more. Our first stop was at W.H. Stiles Fish Camp. The decor was spot on. We instantly felt like we were walking into a New England Fish Camp (minus the water view). They had table seating, a small shop with fun ocean/fish themed gift items, and a long U shaped countertop that went throughout the restaurant. We opted for the countertop seating and were served super quick. 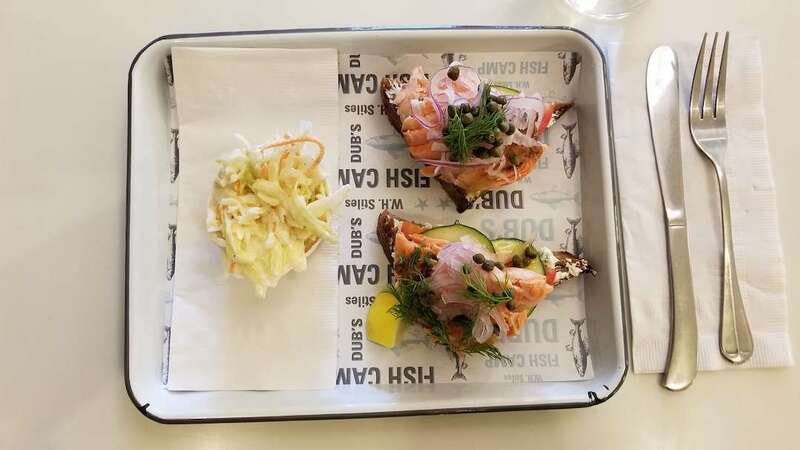 We split an open faced smoked trout sandwich with dill cream cheese topped with capers, tomato, and sprouts. It was delicious! Being our first stop, we were hoping the other food vendors would not disappoint because this place was setting the bar high. Next stop was El Super Pan, which is a latin restaurant that looked like a street style food stall you’d find across the border. It had minimal seating at a counter with a view of the bar and kitchen and 2 small tables to the side. When you were there, you felt secluded from the rest of the market. They had fun music, funky decor, and a killer menu. 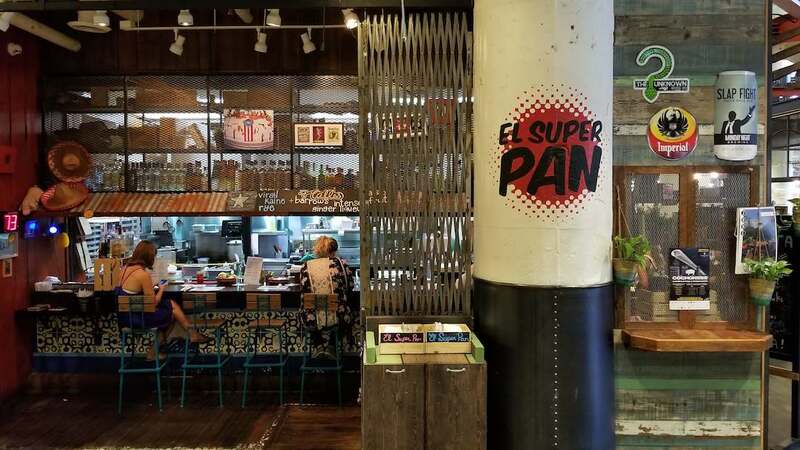 Out of all of the menus we visited we were the most excited to try the items at El Super Pan. It also ended up being our favorite vendor we tried that day! 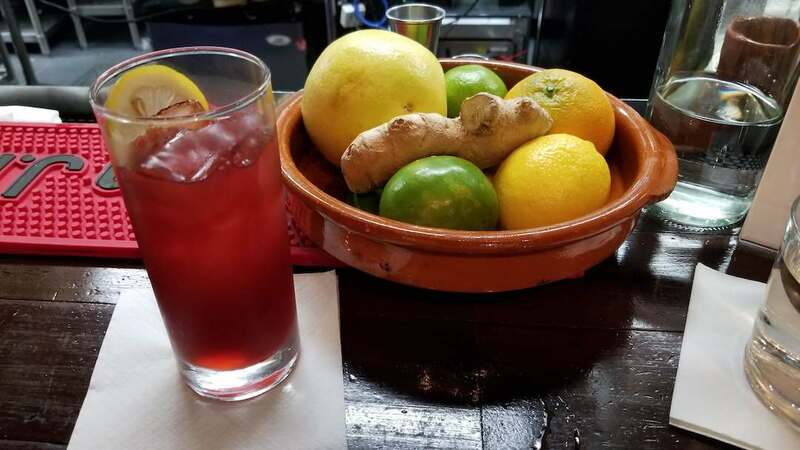 Their menu had a great variety of meat hearty traditional Spanish dishes like Ropa Vieja, Mofongo, or a spin on the traditional Cuban sandwich in addition to vegetarian and vegan friendly dishes. Their Mezcal selection was also on par! 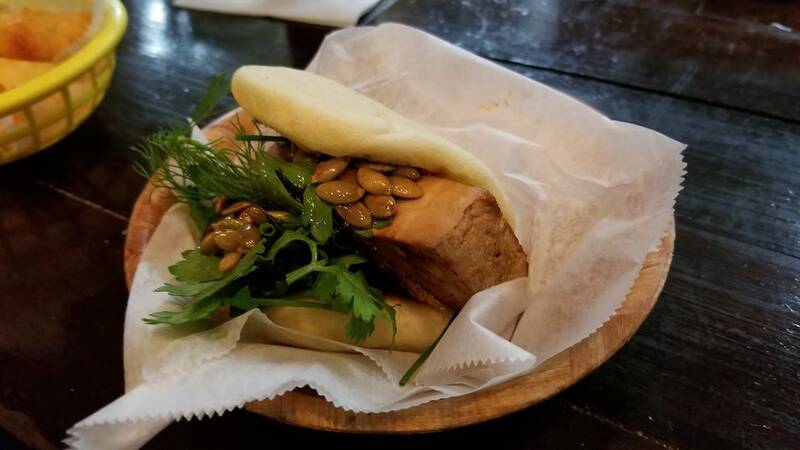 We opted for the two vegetarian options, the Farm Cubano Sandwich, Smoked Tofu Bun, Fried Yucca, and house made Hibiscus Tea. Everything we had was truly delicious. We needed a break from all of the food we had eaten so we stopped in for a drink at the Biltong Bar. Biltong Bar is best known for their all natural air-dried biltong beef jerky, southafrican pies, and craft cocktail selection. Again, we sat at the bar which we feel really enhanced our experience. The bartenders were super nice and told us a lot about their favorite places in Atlanta and Decatur. Unfortunately we weren’t able to stop at them this trip but wrote them down for our next visit! Our drinks were well balanced and suited our flavor palat. Dennis tried some of the air-dried beef jerky (mix of garlic and traditional). It had a much softer bite to it than traditional jerky. It still had the chew you’d expect, but there was more flavor because of the air drying rather than dehydrating with a machine. 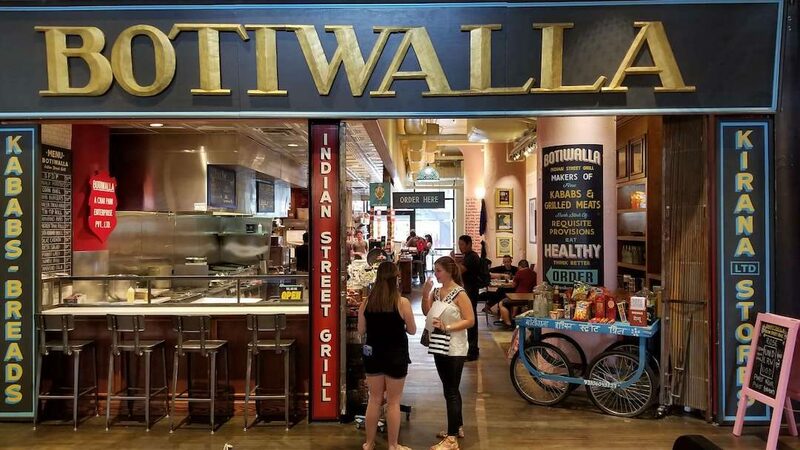 The last two stops on our journey through Ponce City Market was Ton Ton, ramen, (typically our favorite), and Botiwalla, Indian, (our other favorite). We saved these for last because as previously mentioned, we truly love ramen and Indian food. They also often have strong flavors and can be heavier, so we wanted to finish strong. While they both were good, we didn’t love them. 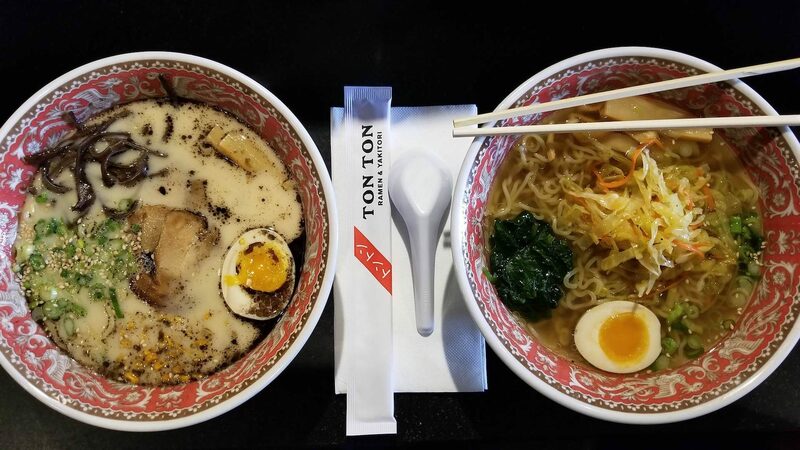 We’ve definitely had better ramen and Indian food, but we’re glad we tried them. 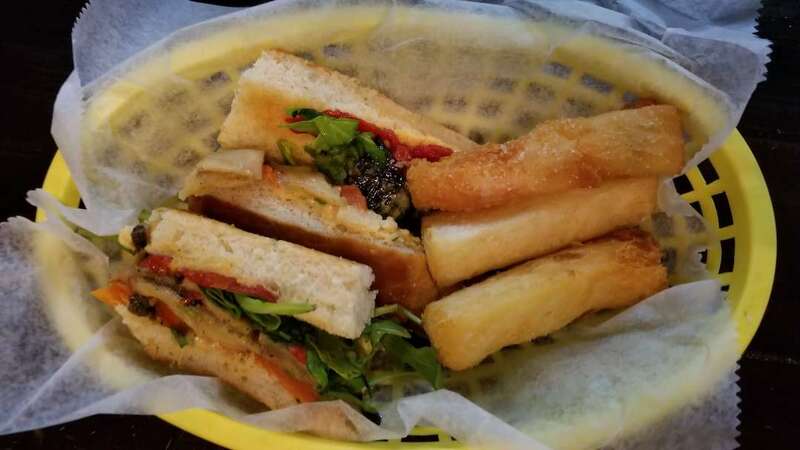 If we went back again we’d try a few of the other vendors we just couldn’t stomach this go around; Bellina, a fresh Italian market that served antipasta and freshly made pasta and sauces, as well as H&F Burger, who you guessed it serves superb burgers and fries (so we’ve heard). Laine is the event manager there and got to show us their newly built event space, The Woodlands. 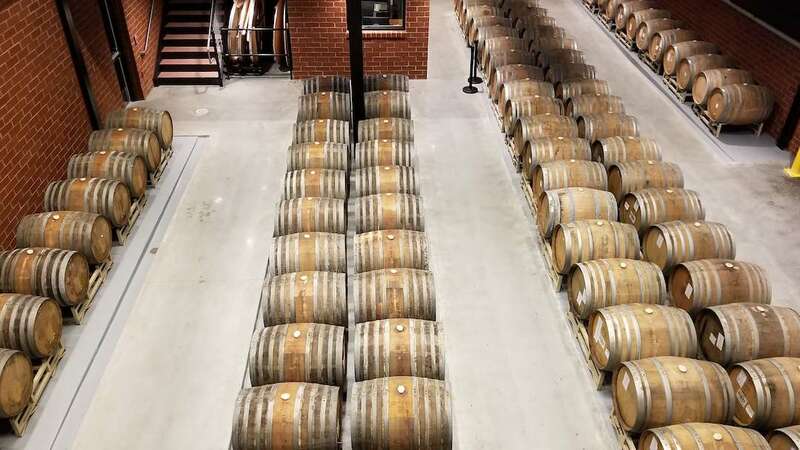 We were the only people there and got our own “private tour” into the making of their barrel aging process in two types of wood, a French Oak and an American Oak. They were making funky beers that were delicious! 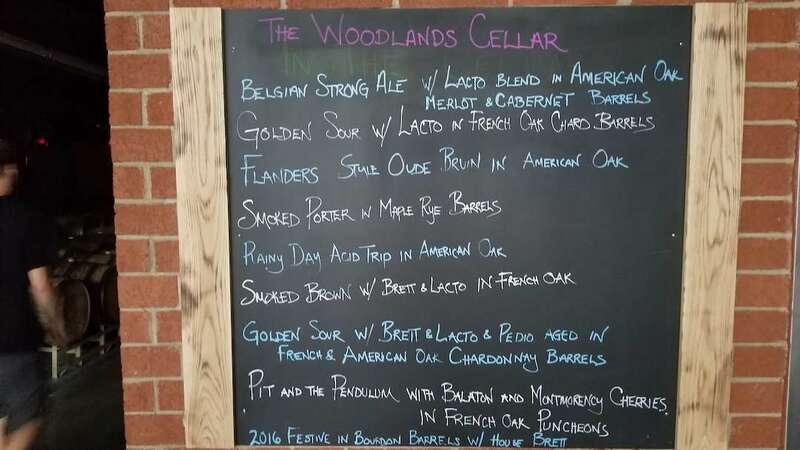 We got to try all different varieties, saison, sour, and stout all aged in those barrels. After we took a walk (since it was down pouring) through the packaging area, and saw a bit of how they package and ship their cases of beer. Fun Fact; all of Sweet Water’s party pack/tackle box are hand packed – yes you read that right. A nationally distributed company puts the love and care of hand packing tackle box (variety pack) of beer just for you! 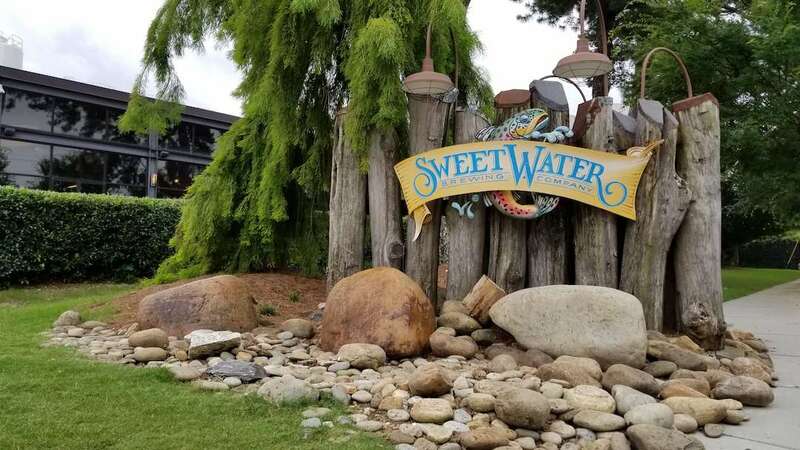 We’re big fans of sweet water brewing so we happily took on the private tour and enjoyed getting to see Laine at work! Friday we met in Decatur to shop at their Saturday Farmer’s Market. We picked up most of the fruits and veggies we needed for the week in addition to fresh cut pasta freshly squeezed juice. It’s a small market but has the right vendors there to make it a worth while farmers market. If you’re in town on a Saturday we suggest stopping in (if you’re into farmer’s markets). Later we walked toward downtown Decatur eventually stopping at Taqueria Del Sol, one of Laine and Brian’s favorite restaurants. 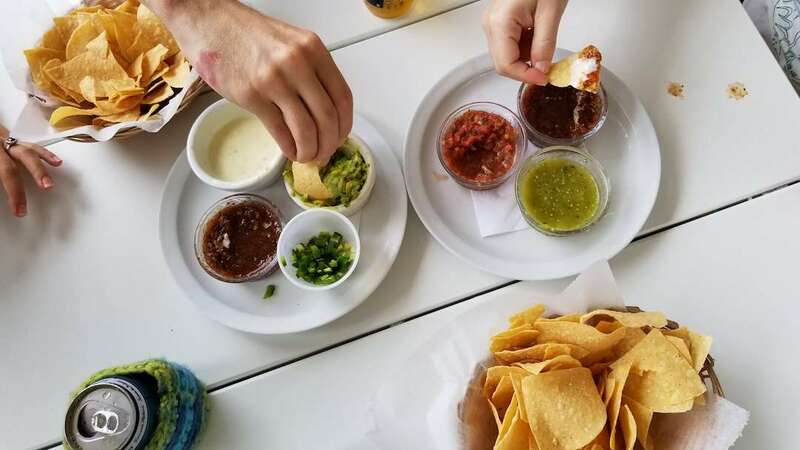 The only picture Dennis could snag of the food was of the chips and dips. We loved the food so much we couldn’t wait to take a picture before we dove in. Sorry this is all we have to share of that visit. 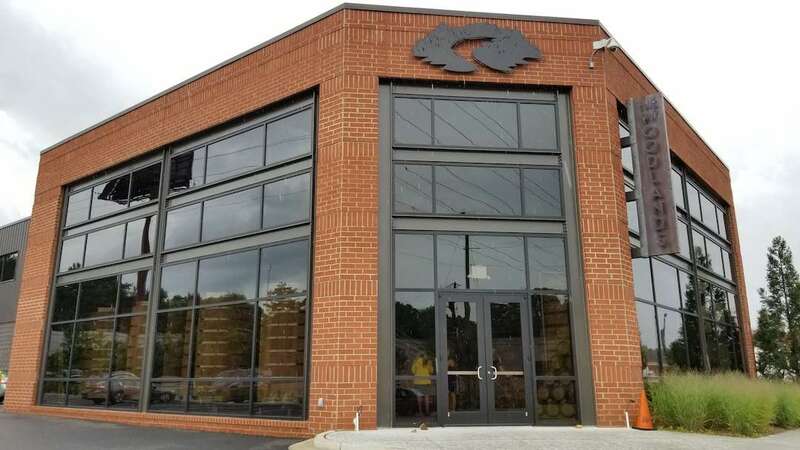 Definitely stop here if your in Metropolitan Atlanta as they have several locations. 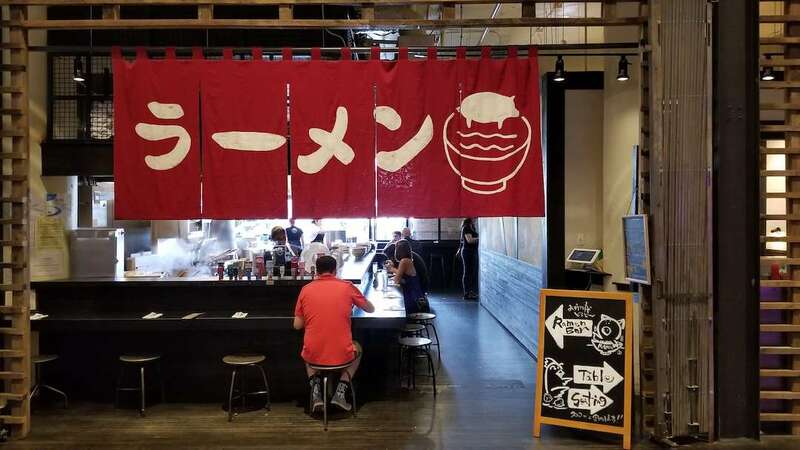 We definitely took a bite out of Ponce City Market, and wish we got to eat more in Atlanta. For now, that’s all, but don’t worry – we’ll be back. Let us know what you think of Atlanta/Decatur’s food scene. If you have any suggestions for where we should go next time, or your own feelings of the vendors at Ponce City Market let us know in the comments below!